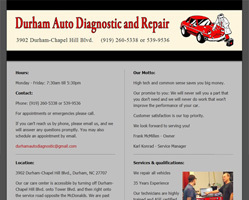 Durham Auto Diagnostic and Repair is a locally-owned business at 3902 Durham-Chapel Hill Blvd. in Durham, NC. Run by owner Frank McMillen and expert mechanic Karl Konrad, they provide fantastic cutomer service and great prices. They specialize in Honda, Toyota, BMW, Mitsubishi, Subaru, and domestic vehicles. They can be reached at 919-260-5338. The client wanted users to find quick answers to any questions they might have, all on a single page. Since no part of the page's information was deemed much more important than any other part, my task was to provide easy wayfinding. 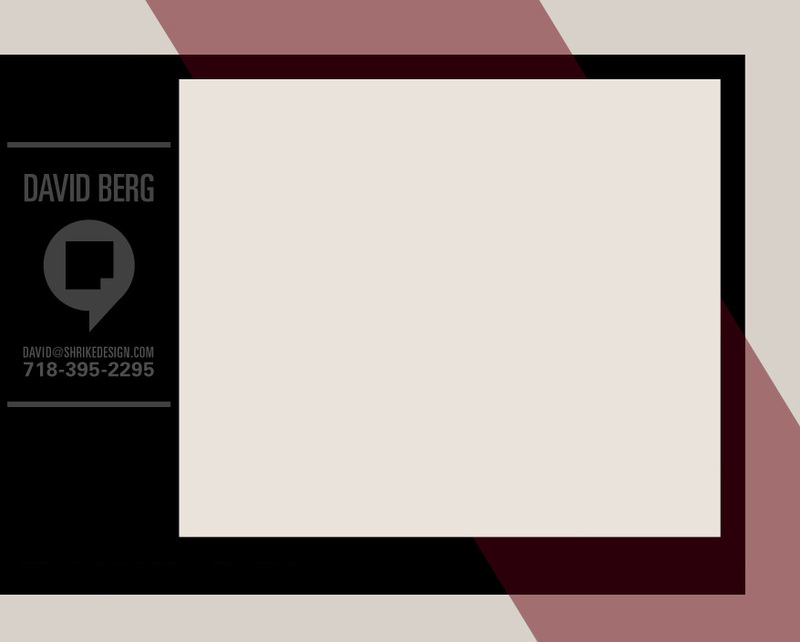 I did this by chopping the text up into small chunks and creating big, bold headers for each chunk. The resulting grid was effective, but a bit dry, so I took some photos, added drop shadows, and increased the header's contrast to add dynamism.